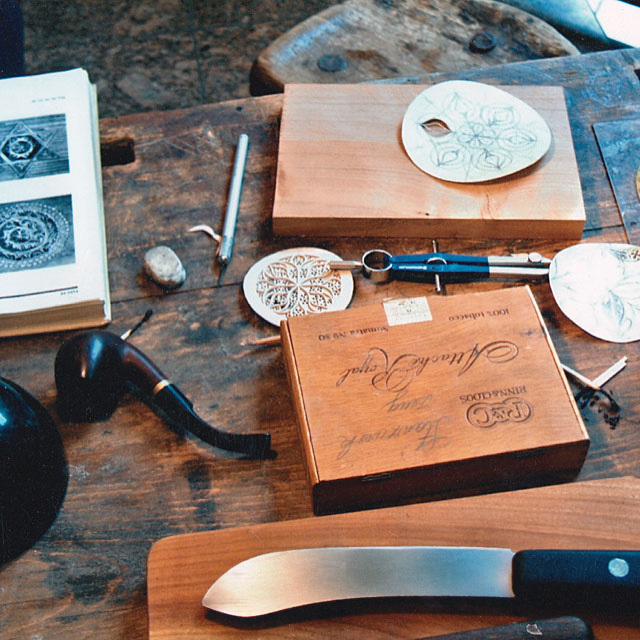 Besides the work in my workshop I pay much attention to my further education. Through regular studies of the originals in the museums (Berlin, Nuremberg, Munich, Leipzig Hamburg, etc.) I deepen my knowledge in instrument building and train my intuition for the historical antetypes. In addition, I am in constant communication with colleagues, and since 1989 I have taken part in instument-exhibitions in Brugge, Herne and Regensburg. Since 2003 I have been a member of the German Clavichord Society and sometimes exhibit clavichords from my workshop at their various reunion places. 1999 Encouraged by the Lennep resident Reverend Karlheinz Kirsch the Lennep Harpsichord Days are launched in my workshop. 1995 Relocation of the workshop to Remscheid/Lennep. The new workshop has more space and light and is better situated as it is nearer to the train station of Lennep. 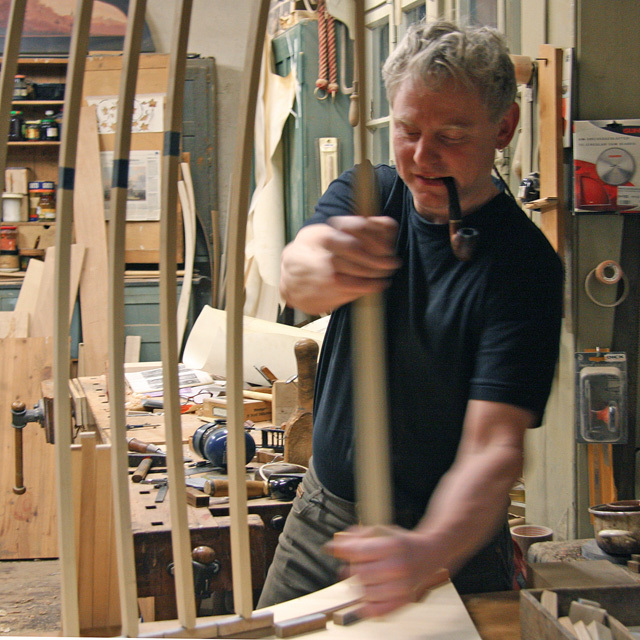 Apart from German and Italian instruments (harpsichords, clavichords, spinets) also some Dutch Ruckers-copies, both as single-manual harpsichords after Andreas Ruckers as two manual copies (petit ravalement) after Johannes Ruckers, and French instruments have been constructed here. Last but not least, instruments are always repaired and restored here. 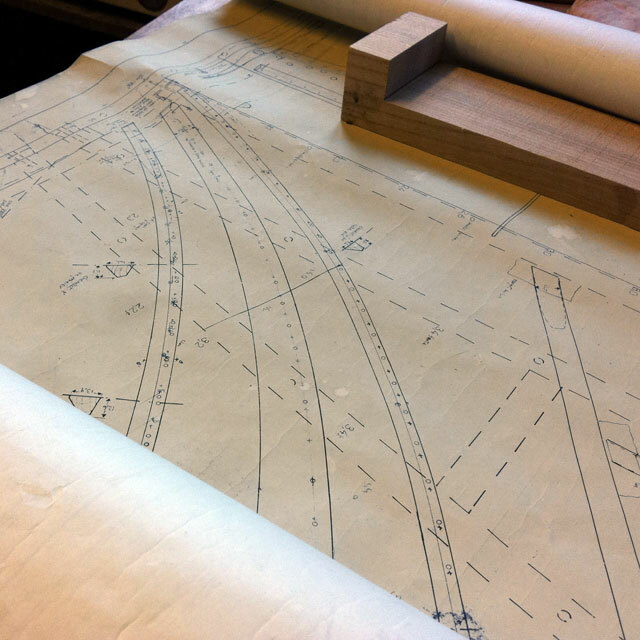 1990 – 1995 In the following years an intense concentration on the early harpsichord building follows: for example, reconstruction of a clavicytherium rd. 1480, copy of a double-virginal after Andreas Ruckers and a two-manual Italian harpsichord. Apart from these a two-manual harpsichord in Dutch construction after Albert Delin (1750), some single- and two-manual copies after Christian Zell as well as many single-manual Italian harpsichords are constructed. 1990/91 Parallel to workshop duties, harpsichord lessons with Justina Lipinski. 1989 Opening of my own workshop in Schwenke/Halver, where a copy of a clavichord after Domenicus Pisaurensis (1543) and a copy of an Italian harpsichord after an anonymous antetype of the 17th century are created and several repairs completed. 1987/88 Work with Rolf Küster, a Master of Piano Building in Remscheid. 1986/87 Master-School in Ludwigsburg, at the weekends construction of the master-piece: a two-manual German harpsichord after Christian Zell (1728) – subsequently master exam. 1983 – 1986 Journeyman’s years at Sassmann. 1982/83 Military service (construction of an open timber frame wall as divider of the crew’s room). 1982 Journeyman’s exam with award, 1st prize-winner of the Federal Competition of Artisan Youths. 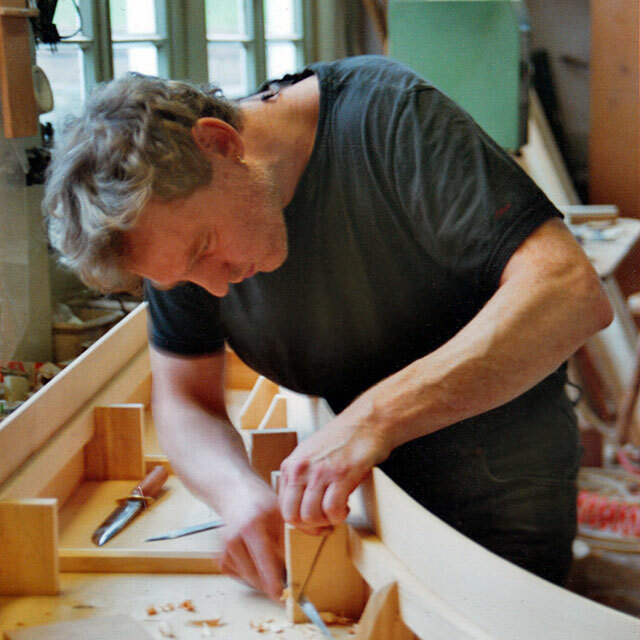 1978 Apprenticeship as Piano- and Harpsichord-Builder at Martin Sassmann. 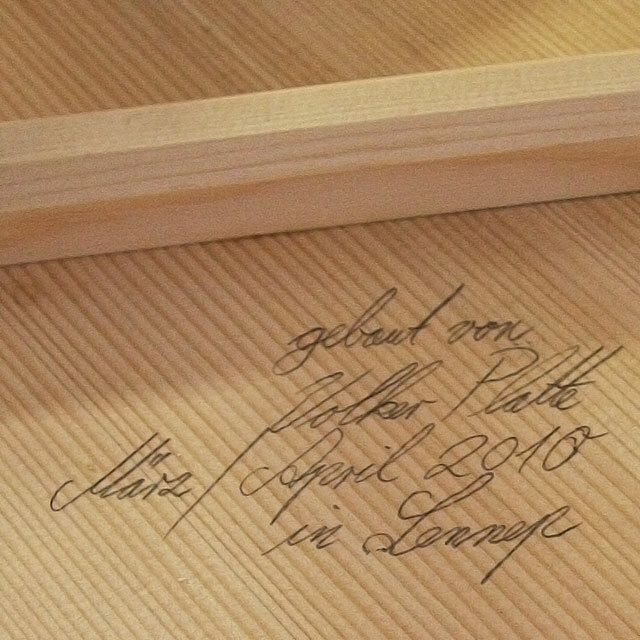 1977 Work experience with the artisan cabinet maker Georg Schnepper in Wipperfürth, copy of a theorbo. 1976 First handicraft experiences through a construction of an ukulele. 1974 First guitar lessons with Johannes Schmidt in Lennep. 1970 Relocation to Wipperfürth in the country. 1961 Birth on April 9th in Remscheid as son of the ceramic-artisans Hans-Eberhard and Ulrike Platte.